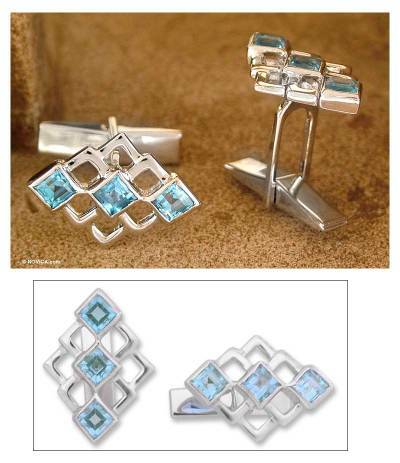 Brilliant blue topaz has been cut and faceted into three diamond-shaped gemstones and then set into a grid-pattern in these handsome cufflinks. 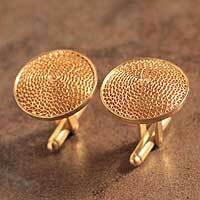 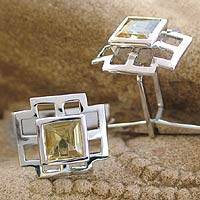 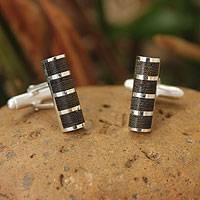 With .925 sterling silver, Shubhra Singh of India designs these cufflinks with the modern man in mind: just the right amount of razzle-dazzle in a contemporary art deco setting. 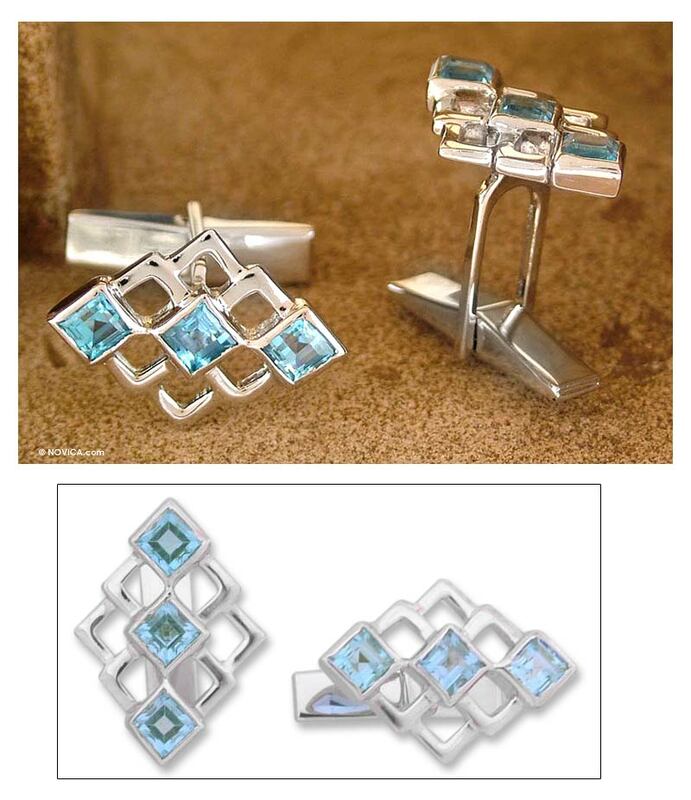 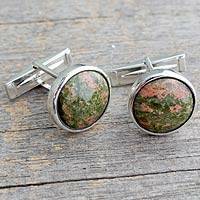 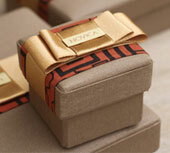 Add a finishing touch to your finest suit with these topaz-studded cufflinks!